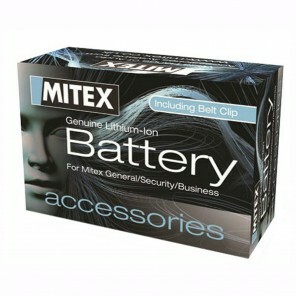 The Mitex General Xtreme Twin Pack is a set of two robust, heavy duty two-way radios that work with existing Mitex models (General, Pro and DMR). With an IP66 rating, the walkie talkies are resistant to dust, water and vibrations, making them suitable for industrial, working and outdoor environments. The General Xtreme Twin Pack will ensure that you are always within reach when in demanding conditions. 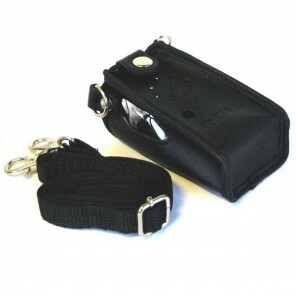 The walkie talkies come with powerful rechargable 1500mAh batteries, so you never have to worry about a flat battery. 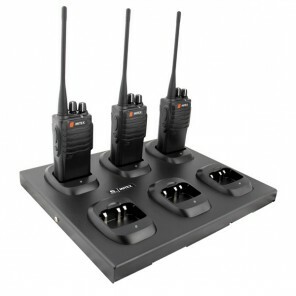 In addition, the General Xtreme model is very compact, but still delivers clear and reliable communication, so it´s easy to take wherever you go. 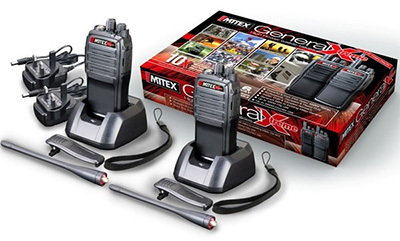 Finally, the Mitex General Xtreme Twin Pack is the ideal upgrade from the PMR466 for those who need a more robust model and channel privacy. Compatible with existing Generals and covered under the same license, the GeneralX Twin Pack will be ready to use straight out of the box.